Science is a glamorous job – for about five percent of the time. The rest of the working year is spent knee-deep in mud or covered in dust, hunkered down in the lab or gazing at a computer screen making sense of the data. For many scientists, field-work is the highlight of the calendar year. 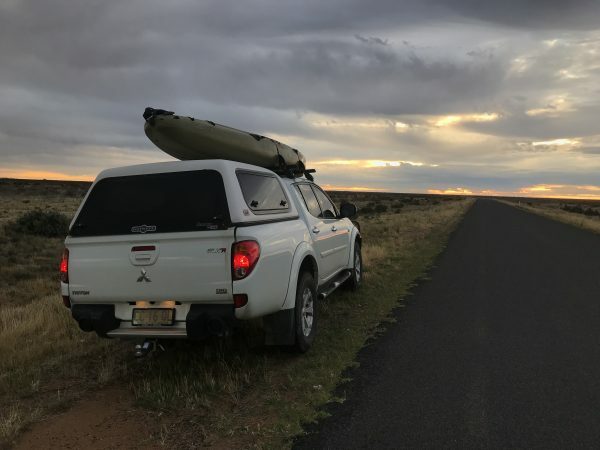 It’s an opportunity to see what’s happening on the ground, realise the results of the work they have done to inform water management and catch sight of the cute and quirky critters they are working to protect. 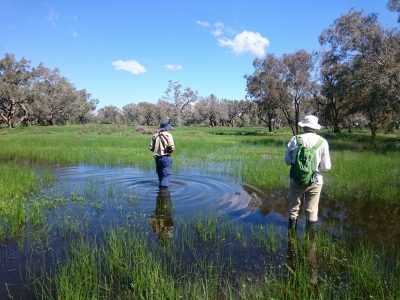 During spring, summer and autumn, teams of OEH staff and volunteers head out into the wild wetlands of NSW to monitor frogs, waterbirds and native plants. This is a behind-the-scenes look at a typical day collecting the data under conditions that aren’t always ideal . . .
Long before we dust off the binoculars and brave the mosquitoes we begin planning our adventure in the wild wetlands of inland NSW. A typical ‘to-do’ list looks something like this . . .
OEH staff leave their homes and families, travelling hundreds of kilometres to rendezvous near the survey site. We buy food and fuel then sit down to discuss the days ahead. At least two people will survey each site to get the most accurate picture of the wildlife present. The approach is a little different depending on the species we are trying to count. For the team conducting waterbird surveys, the day will start at dawn when we head out to wetlands up to an hour from our base. OEH staff are on the road at sunrise travelling to the wetlands. Photo C Amos, OEH. We will visit each wetland twice – once in the morning and once in the afternoon on different days. This will allow us to see as many of the different species as possible and get a clear idea of their numbers. For staff measuring and recording plants, the working day begins before dawn and finishes at dusk. And for the scientists counting frogs, the day begins around lunch time and stretches into the night when frogs are most active and easier to detect. In search of waterbirds . . .
It’s 6am and the camp is preparing for the day ahead. Wetland surveys are tough physically so we eat a hearty breakfast before heading off to the first wetland to begin the surveys. Today’s first site is only five minutes from camp but others will be up to an hour away. Our approach is different to your typical birdwatcher. As scientists, we are in the wetland to capture a full species list. Your typical birdwatcher knows the bird-hides and is keen to observe from a distance. We work within animal ethics guidelines to gather data that will help inform the future management of these delicate and dynamic ecosystems. The sun is yet to rise and we are up, eating breakfast and packing the gear we’ll need for the day ahead. We can’t wait to see how all the plants have fared since the last time we visited. 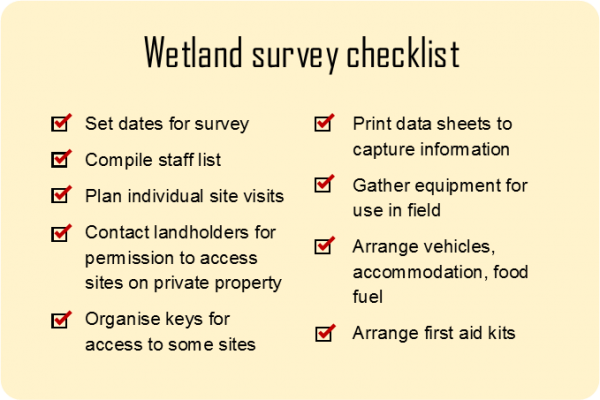 We’ll be towing a quadbike to help us access some of the sites, and carrying a range of electronic equipment to record the condition of the plant communities we see. Our survey sites are quite varied, from river red gum forests and coolabah woodlands to marsh grasslands and lignum shrublands. Each site we visit is marked by a pole in the ground and a GPS co-ordinate. Survey sites can be quite a hike. Photo S Bowen, OEH. Now it’s time to begin collecting information. We record every plant growing at the site, wetland species or not. We record the percentage of the plot that is covered by each plant species and collect samples of any species that hasn’t been collected from the site before or cannot be identified. For specific trees, we measure height and trunk size, and look for tree hollows, nests and signs of flowering and fruiting. The break for lunch is short, often perched on an esky, under a tree. Then we head out to the next survey site and continue the process until dusk. The sun is setting and another day of site visits draws to an end. Back at camp, we wring out our soggy socks, unpack our gear and sit down to dinner. We use the hours after sunset to collate the information we have gathered during the day and make sure our equipment is charging, ready for tomorrow. We also look at the plants we’ve collected from the field. Microscopes are set up and the process of identification begins. A Peron’s tree frog steals the spotlight. Photo J Ocock, OEH. Finding frogs . . .
It’s early afternoon. The bird surveyors have paused for a few hours to re-charge (while the birds are least active) and the plant scientists are busy in the field. Now it’s time for the frog team to begin their surveys. Lunch is the main meal of the day when you’re looking for frogs. Wading through wetlands is hard work, so we load up on carbohydrates and pack an esky full of snacks before heading out into the wetlands. We will visit each site twice, often on the same day, but at different times. We spend between 20 minutes and an hour at each site to get a clear picture of what species are present and in what numbers. 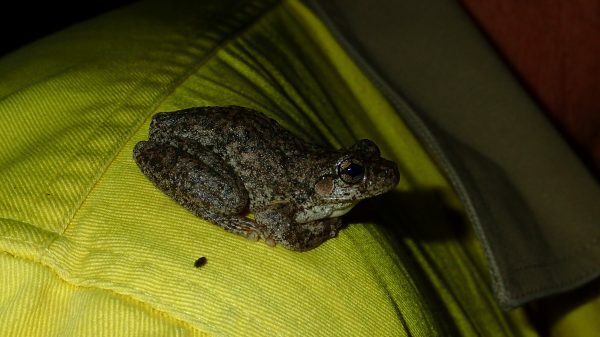 During the night time surveys, we have a set amount of time at each survey site when we try to count every frog we can see and/or hear within the area where we are walking, keeping a tally as we go. Sometimes the work comes to you. Photo J Ocock, OEH. With headlamps on and rulers in hand, we also aim to capture and measure two species at each site. This helps to give us an idea of the population structure – the presence of smaller frogs means a new generation (or cohort) of frogs in response to recent conditions. The number and size of the frogs we find varies depending on the time of year. When water has just arrived at a wetland (usually around September), you hear lots of frogs calling. Wading into the wetland. Photo G Germon, OEH. A couple of months later you will find lots of tadpoles and small frogs. We record the individuals as well as the nests of eggs. 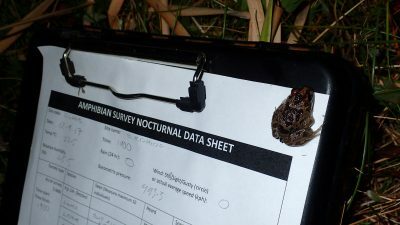 Night-time is the best time for counting frogs so our days in the field can stretch well past midnight. Back at camp, we will sleep in while the bird surveyors get going at first light to see the early waterbirds! Throughout the day (and night) OEH staff are filling out data sheets to capture the range of species present in the wetlands and their numbers. Data sheets must be completed carefully so the analysis of the surveys (back in the office) is accurate. Data doesn’t mean anything until it’s been entered, summarised and analysed. That will happen in OEH offices across the state in the weeks following the surveys. 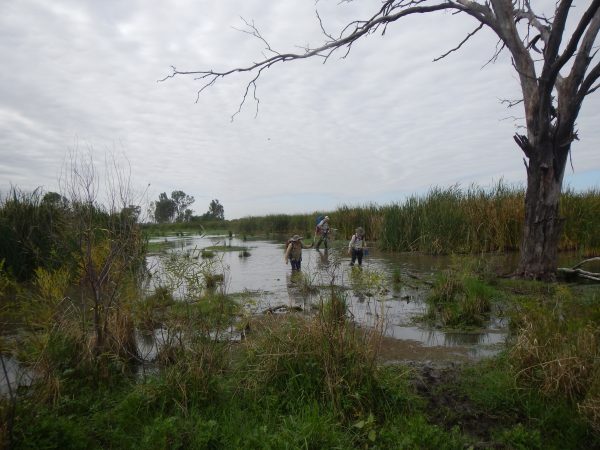 In the meantime, surveys continue at wild wetlands scattered throughout inland NSW.